Announcing "P.S. 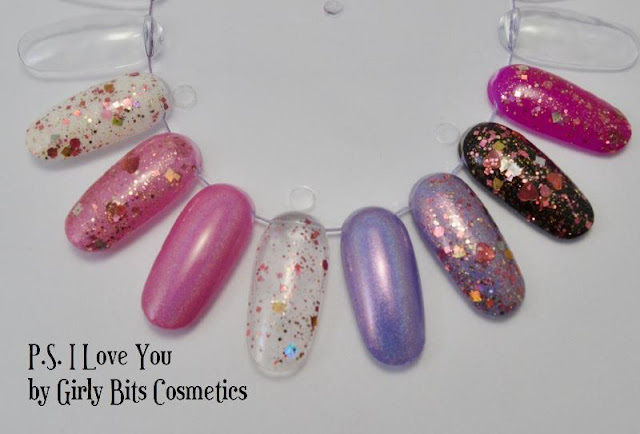 I Love You", the latest collection available from Girly Bits Cosmetics. A collection of three love themed polishes. This collection is dedicated to the memory of Doris Sewell Rudeen, the mother of a dear friend. You can read the obituary for Doris HERE. 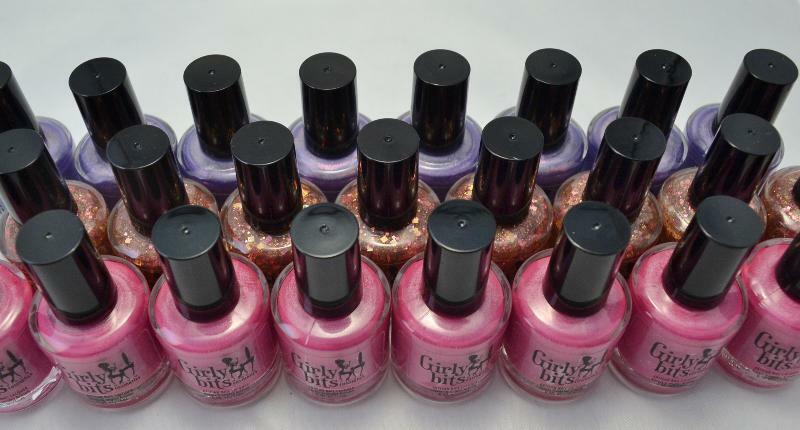 We are no longer using paper labels on our nail lacquer. The labels pictured above are a clear transition label that will be applied on all bottles until we receive shipment of our printed labels. As you can also see in the picture above, our polish names are now found on the label on the bottom of the bottle! At the time this newsletter was sent, we had confirmed that this collection will also be available in the near future at the following Girly Bits Authorized Distributors: Harlow & Co., Foxy Fingertips, Femme Fatale, & Llarowe. Please refer to each site for release dates and pricing. 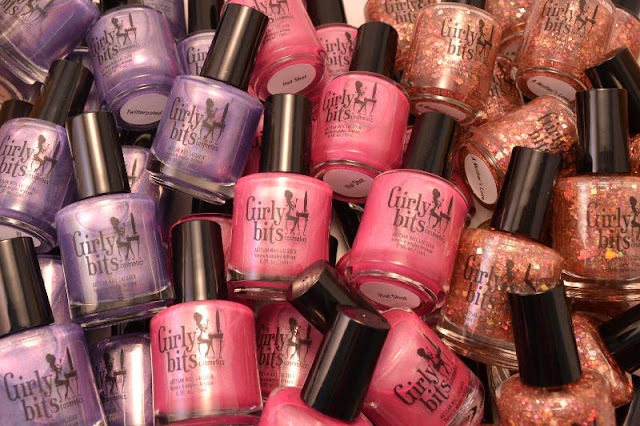 For more information on Girly Bits Cosmetics, please visit their blog, Facebook, Pinterest, Twitter and Instagram.